U.S.-facing Bovada Poker is awarding a number of WSOP Main Event prize packages via satellite tournaments with buy-ins beginning at $1 + $0.10. Many big-name poker pros have landed in Las Vegas for the 44th annual World Series of Poker that kicks off today, May 29. A total of 62 tournaments will be hosted at the Rio in the next several weeks. A large number of cash games will also be available for players who get knocked out early in tournament play. There are a huge number of poker players who have not made it to the pro ranks and are making a living in some other fashion. While toiling away at their day jobs, these players wish they could be part of the action at the WSOP this summer. However, a lack of adequate funds and perhaps family responsibilities require many to stay home and read about the WSOP gold bracelets that will be won by others. If you happen to be one of those avid players who plays poker either live or online and can only dream of someday joining the action at the WSOP, your dream can become a reality. This year happens to mark the 10-year anniversary of Chris Moneymaker‘s rise to fame as champion of the WSOP Main Event. An accountant from Tennessee, Moneymaker lived out the fantasy of millions of poker players by parlaying $39 into $2.5 million by winning an online satellite that awarded him the $10,000 Main Event buy-in in 2003. That victory by an everyman has given hope to every player that they too can someday make it big in the world of poker among the likes of Phil Hellmuth, Daniel Negreanu and Phil Ivey. Bovada Poker is giving U.S. players a chance to duplicate the feat of Chris Moneymaker a decade ago. 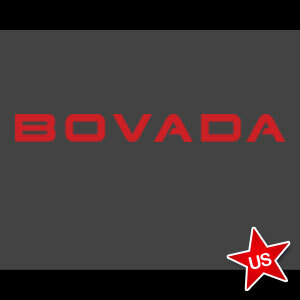 Satellites featuring buy-ins as low $1 + $0.10 to this year’s Main Event are running daily at Bovada. The tourneys have been awarding two Main Event seats for the last few weeks. Bovada has decided to expand its offerings and will be awarding 10 WSOP Main Event seats this Sunday. However, the prize package is more than just the $10,000 entry fee. You can’t expect to go to Las Vegas without a bit of pocket money to ensure that your stay will be a pleasant one. Bovada throws in an extra $5,000 for each prize package to cover the costs of travel, food and hotel accomodations. Each Main Event satellite winner receives a total of $15,000! That extra five grand will be more than enough to cover expenses. It wouldn’t be surprising to see some Bovada Main Event entry winners use some of that extra $5k in cash to buy into another tournament for another shot at a gold bracelet and poker immortality! Instead of just dreaming about entering the WSOP Main Event, now is your chance to actually make it happen. Don’t let another WSOP go by without taking a shot at being there yourself. It happened 10 years ago and it can happen again in 2013!